Le joailler Avenches habille toujours très poétiquement sa jolie vitrine Art Deco (classée) ... en ce moment, une petite maison, un petit chemin pour mettre en scène sa collection. Avenches' windows are always a treat ! 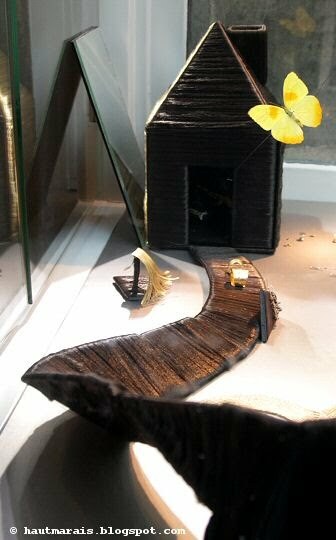 At the moment, a little cabin with its path has popped up in its Art Deco window to showcase his high jewellery collection.